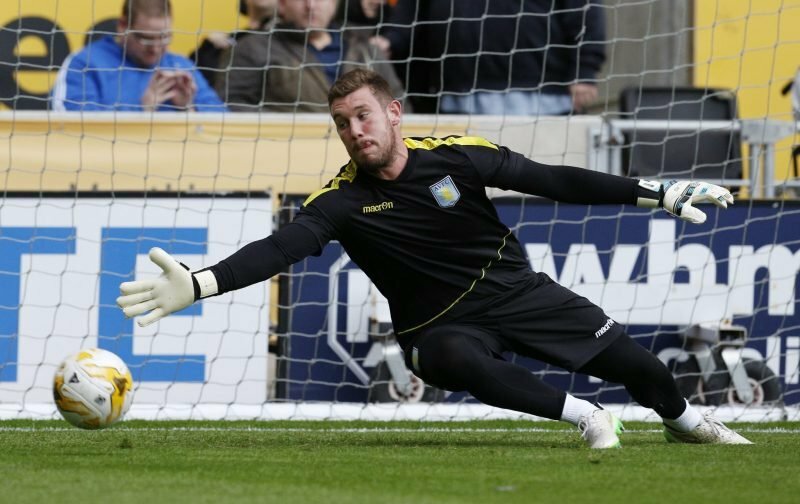 Goalkeeper Jed Steer’s move to Aston Villa from Norwich City hasn’t exactly gone to plan. Since his arrival on a ratcheted deal by a tribunal ultimately back in the summer of 2013, the 26-year-old has only made ten appearances for the club in the years since, spending time away at Doncaster Rovers, Yeovil Town, two spells at Huddersfield Town and one most recently at Charlton Athletic. He’s also spent a long time on the sidelines with various injuries and to get him a good run of games, having overcome the last issue, he headed to Charlton, taking in 20 appearances in the first half of the campaign. Whilst he was supposed to be at The Valley until the end of the season, he was recalled at the beginning of this month – featuring in the draw with Queens Park Rangers – following the injury to Orjan Nyland. Returning, knowing that we’ve already signed Lovre Kalinic, Steer told the Birmingham Mail that as far as he was concerned, he was back to challenge for the shirt for the rest of the season. With most fans I think being impressed with Steer whenever we have seen him, it’s the perfect chance for him to try and establish himself between the sticks now as Kalinic may need a bedding in period.